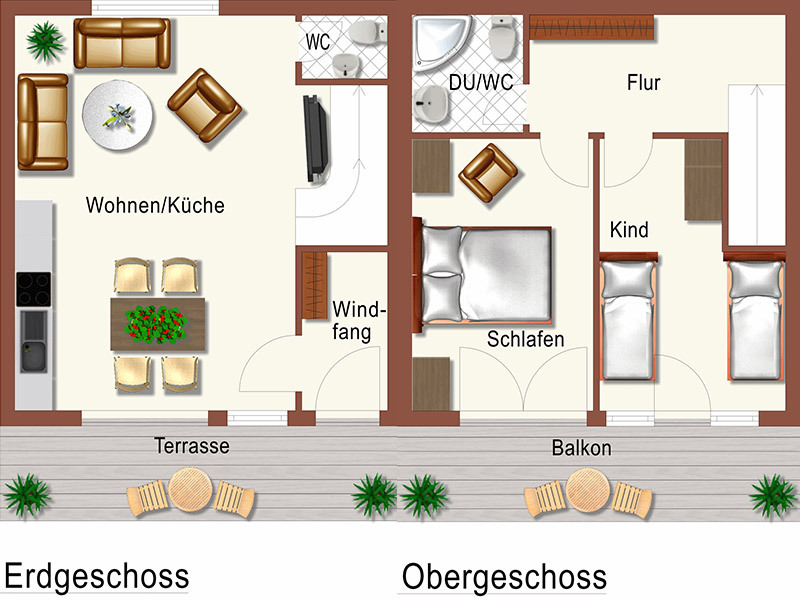 The apartment "Bauerngarten" is situated in the new extension to the Schingerhof. It measures 67 square meters and extends over 2 stories. It offers a magnificent panoramic view over the surrounding Black Forest mountains. It has a direct access to the huge garden.